A detached true bungalow situated on a large corner plot within easy walking distance of the town centre and its facilities. Completely refurbished 5 years ago, including rewiring, new heating system and extension to the kitchen and rear bedroom. The extension has created an attractive large breakfast kitchen with range of high-quality fixtures and fittings.This property is constructed to a high standard with quality fixtures and fittings, full gas-fired central heating and uPVC double-glazing. Viewing highly recommended. Single panel radiator, low-voltage spotlighting and access to roof storage area. uPVC double-glazed bow window to front elevation, double and single panel central heating radiators and coved ceiling. Coursed stone fireplace with timber mantel and raised stone hearth with fitted gas fire. Three wall light points. Sealed unit double-glazed uPVC window, single panel central heating radiator and four wall light points. Recently extended rear bedroom, sealed unit double-glazed uPVC window, double panel central heating radiator and three wall light points. Recently extended large breakfast kitchen with range of high-quality fitted base and wall units with ceramic tiled splash backs and extractor hood. Single drainer stainless steel sink unit with mixer tap, uPVC double-glazed windows to rear and gable elevations and low-voltage spotlighting. Plumbed for automatic dishwasher and washing machine. Double panel central heating radiator. 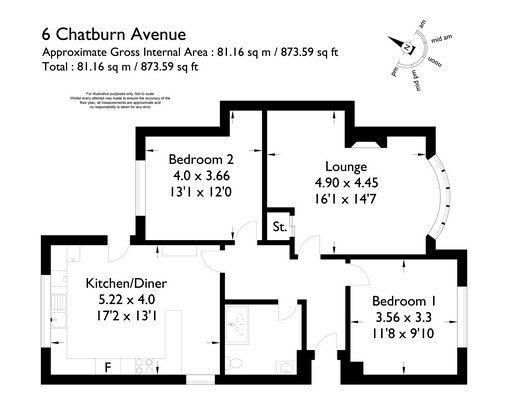 Containing three-piece suite comprising invalid shower bath, pedestal wash hand basin, low-level WC, half ceramic tiled walls, uPVC double-glazed window to gable elevation, low-voltage spotlighting and single panel central heating radiator. Attractive lawned gardens to front and side and enclosed lawned garden to rear elevation. Off-street parking to gable elevation. To the side of the property is a raised flagged plinth with timber garden store.